9/29/11 Haul & new top coat combo. Hi everyone! So, I finally got it! I got a "holy grail" top coat combo down. But I did end up buying a new top coat to use, cause I originally bought the one I'm currently using as a "temporary" till I bought the one I've been REALLY wanting. But I can switch it up between the two! I'll explain more of that later in this post. 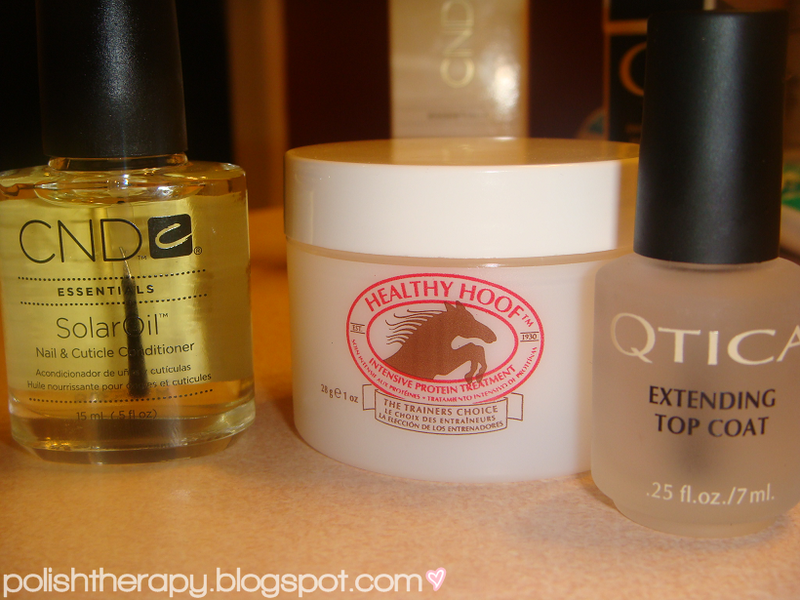 I bought CND Solar Oil, Healthy Hoof cuticle cream, and what I've been waiting for.. the Qtica Extending Top Coat! My Bed Bath & Beyond didn't have the full size though :[ Poop. But better than nothing! Anyway, I've always been buying nail polish after nail polish, but recently I took a good look at my cuticles and man, there's some hang nails and some dry skin going on! 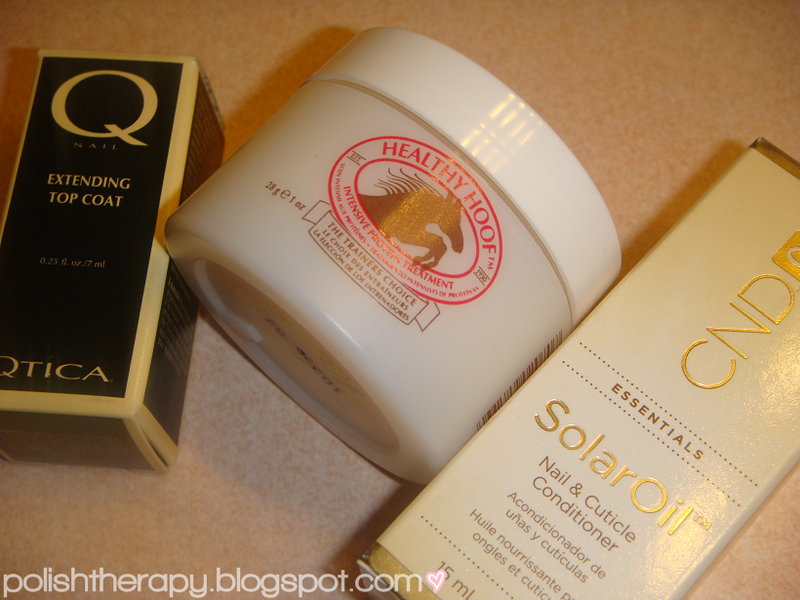 Yikes.. so after doing some research, I decided to try out the Solar Oil, and Healthy Hoof's cuticle cream cause I read such good reviews on it! 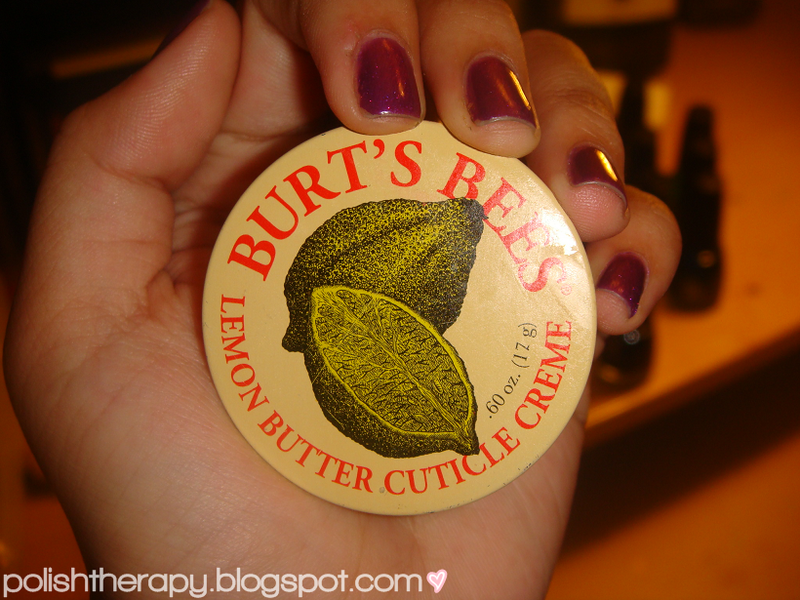 ESPECIALLY Healthy Hoof's.. tried it out the moment I got it, and man is it different from my Burt's Bee's. I love the consistency SO much more. Burt's Bee's always had this tendency to, eh, I dunno, make me cringe a little. Weird right? But I just.. egh! Didn't like it, but kept using it cause it was all I had. But, not anymore! GOODBYE Burt's Bee's! It's over between you and I ;] And I've never really tried oils before, but I knew I had to have some extra care in my routine, so thought I'd give that a go to. Now, as far as the Qtica Extending Top Coat goes, I've been waiting to try this baby out. I was originally aiming for the Barielle Manicure Extender, but I couldn't find it at my Marshall's so settled for the Qtica instead. But I read they're both JUST as good. I read online that people wear this on top of their nail color, THEN put a quick try top coat like Seche Vite over it, and it's awesomesauce! But recently, I just tried out a combo of Sally Hansen Hard as Nails with Seche Vite on top. My mani has been chip free for 3 days now. Just slight tip wear, and TINY chips on my left index finger.. but nothing even noticeable. Lovely! You must be wondering why I bothered with the Qtica one then, if the Sally Hansen works just as well. Well, I can't answer that completely.. I just get curious with other top coats :D Hopefully the Qtica works JUST as well, but I'm expecting it to work better. I'll keep you guys updated on it! Kissing those days of a chippy mani in less than 3 hours GOODBYE. So this nail polish was my treat to myself for my 53/50 A+ on my quiz! ;) It's my little success system I have for myself, only treating myself to nail polish if I ace a quiz or test. 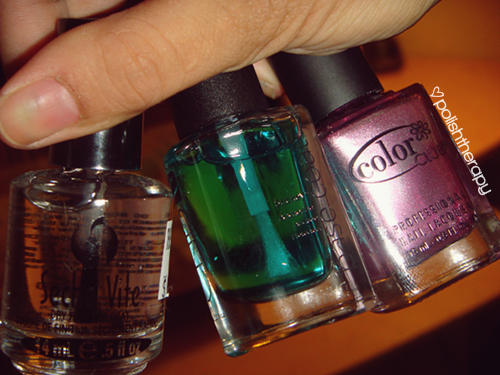 2 polishes for at least 90 on a test, and 1 polish for a perfect paper on a quiz! Hehe. Anyways, this would be the lovely Foil Me Once by Color Club from their brand new Foiled collection. A dark pink foil, hence the collection. I went into my beauty supply store not even looking for any Color Club's, but ended up leaving with one. I could NOT pick which one I wanted out of the collection, I must have stared at my nails as I matched them all with every swatch on the nail wheel. But, I don't regret this. I actually think I'm gonna get the whole collection! c: I love Color Club! 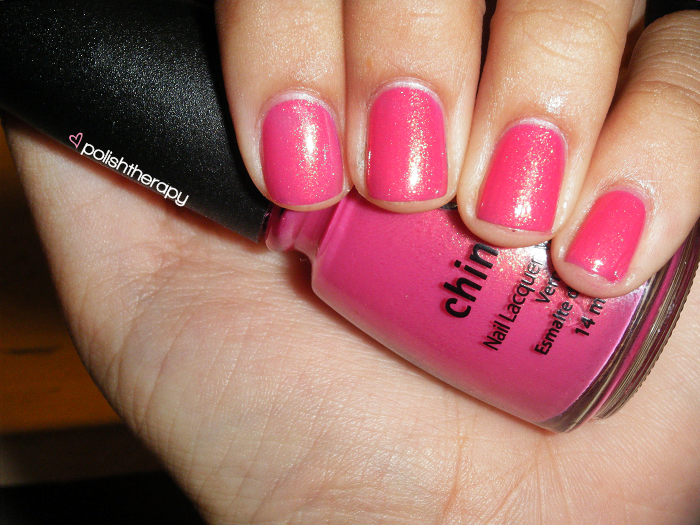 Strawberry Fields is from the China Glaze Summer Days collection from 2009 :) I still have yet to acheive them all! This one in particular though is core at Sally's Beauty Supply, so you can easily get it any time :D But as for the other's.. I gotta order 'em online! Gotta catch 'em all! ♥ Went on beautifully in 3 coats. Sorry I never made a post for this! I was such in a rush. Anyway, ah yes, the oh so popular Skyscraper :) It is all they say! A-M-A-Z-I-N-G ♥ A dark blue glitter polish, in 3 perfect coats.